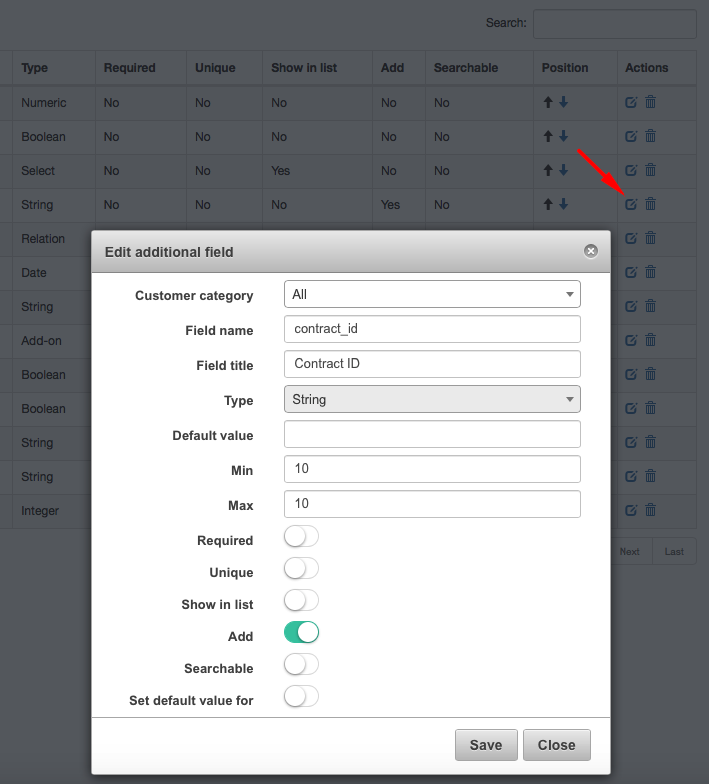 To add additional field click on Config menu →System→ Additional fields . 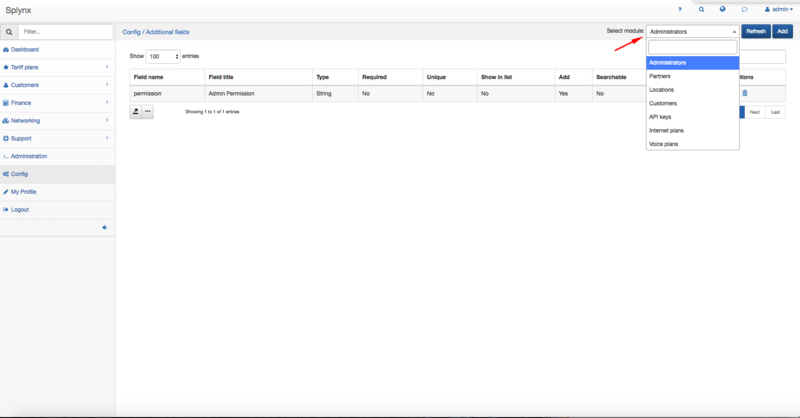 Select the module where you'd like to add an additional field and click on Add at the top-right corner of the screen. A window will pop up and it will be possible to create an additional field. 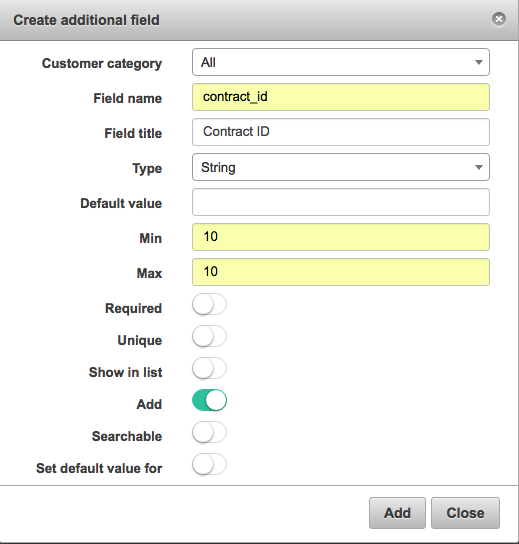 In this example a Contract ID is shown - an additional field for the Customers module. Required - impossible to save without filling in this field. Unique - unique value for this field. 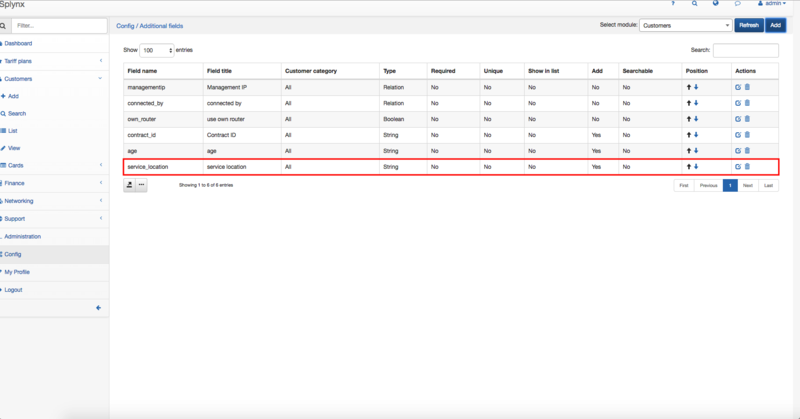 Show in the list - shows in the list of the selected module as a column. Add - add to the entry of every module. 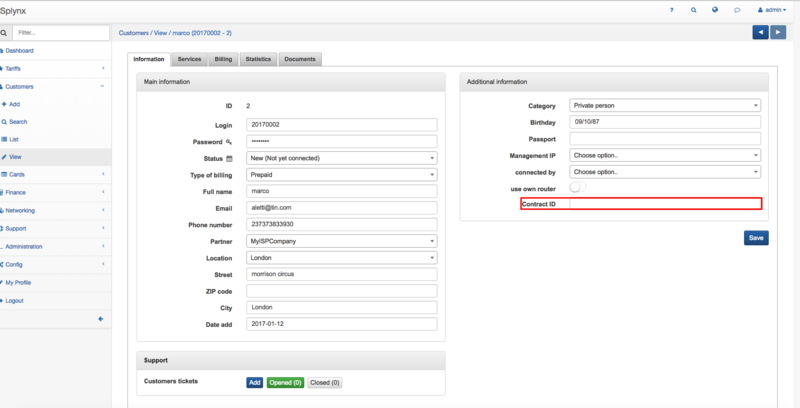 Set default value for - set as a default value for every field. 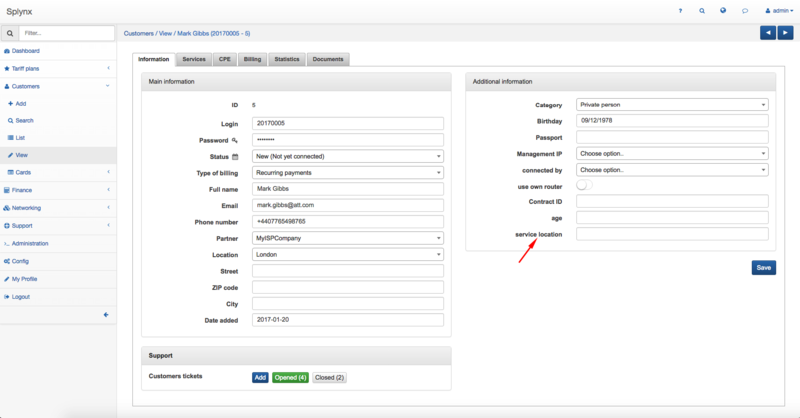 You can edit or delete a new additional field by clicking on Edit icon or Delete icon in "Action" section of the table. 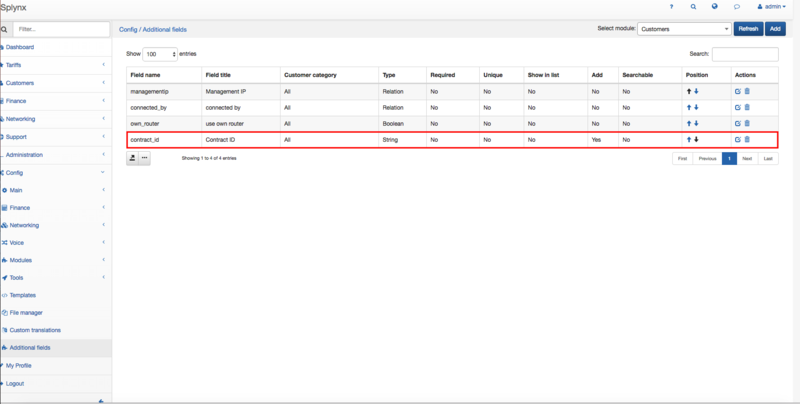 In next example a "Service Location" is shown - an additional field for the Customers module.